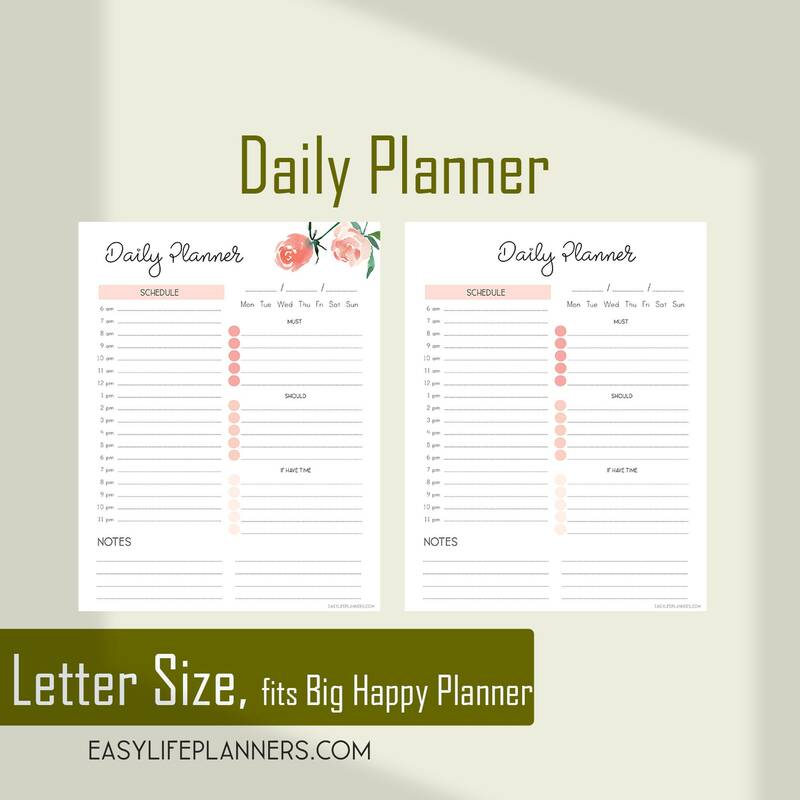 Daily Planner Pages, Daily Planner 2019, Floral Planner, Letter Size Planner, Big happy planner Inserts. 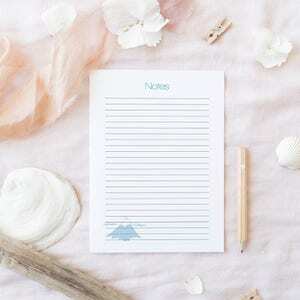 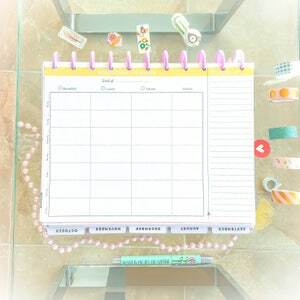 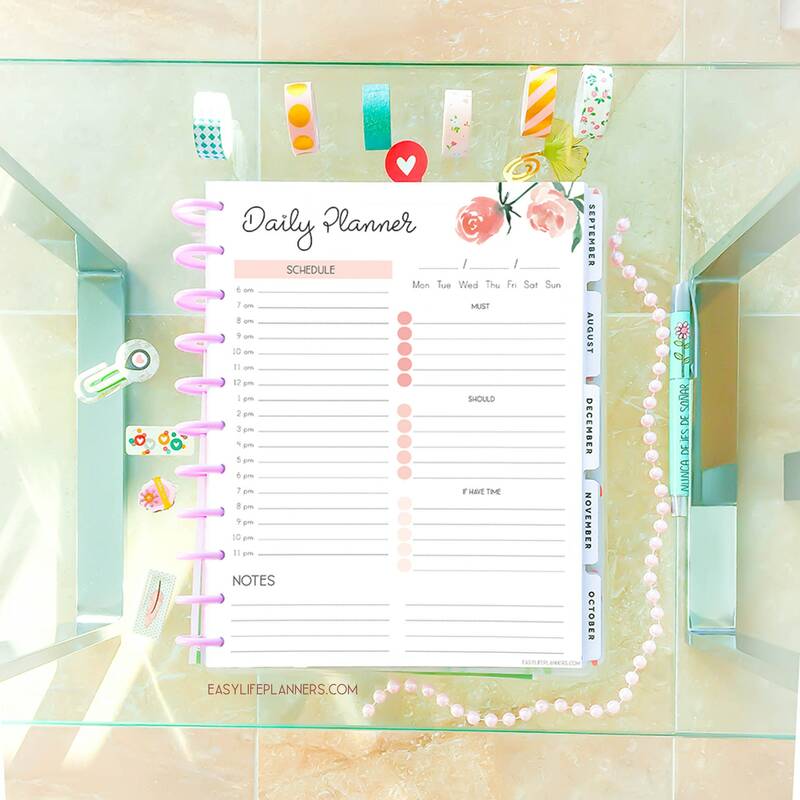 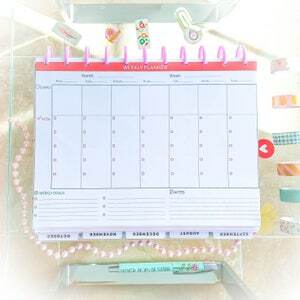 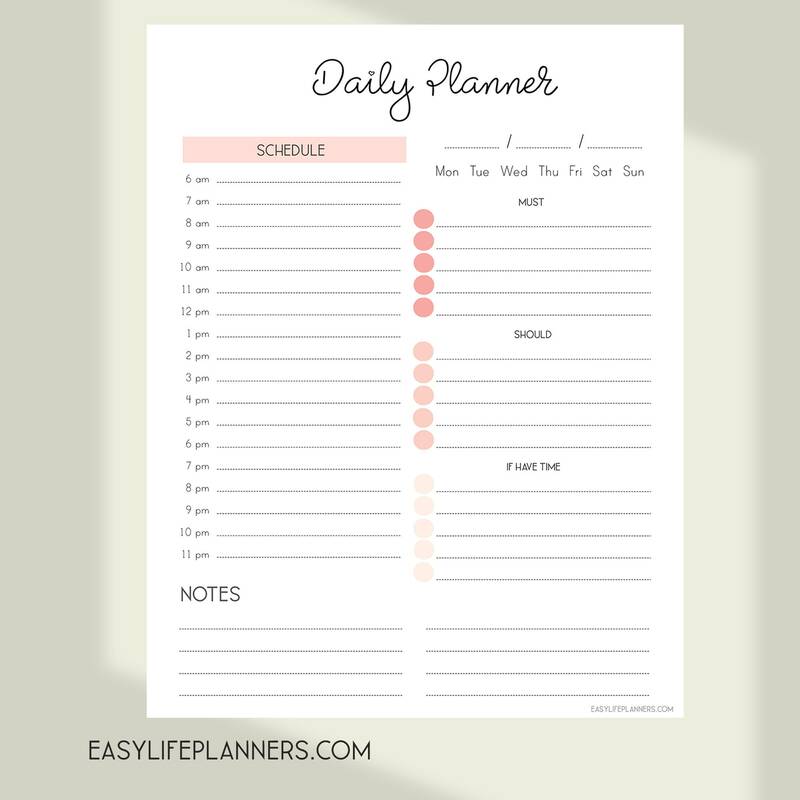 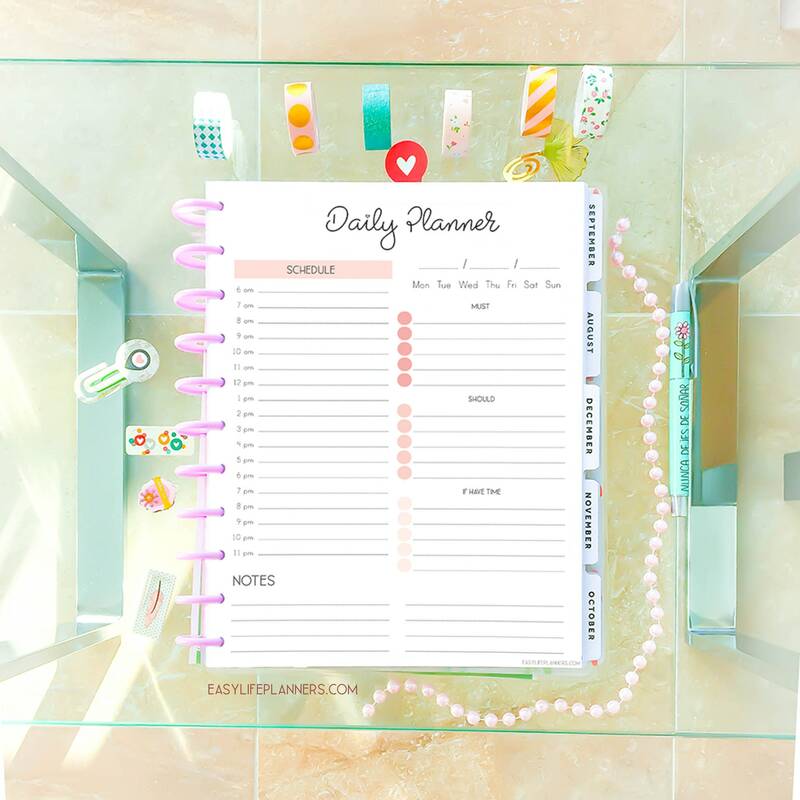 These DAILY PLANNER inserts are sized to fit your Letter Size Planner. 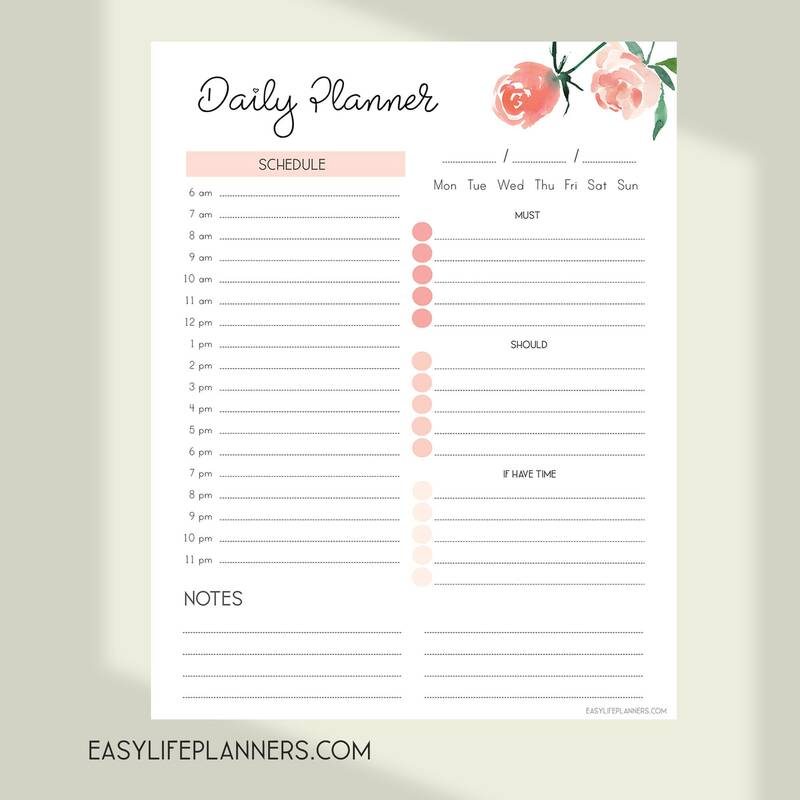 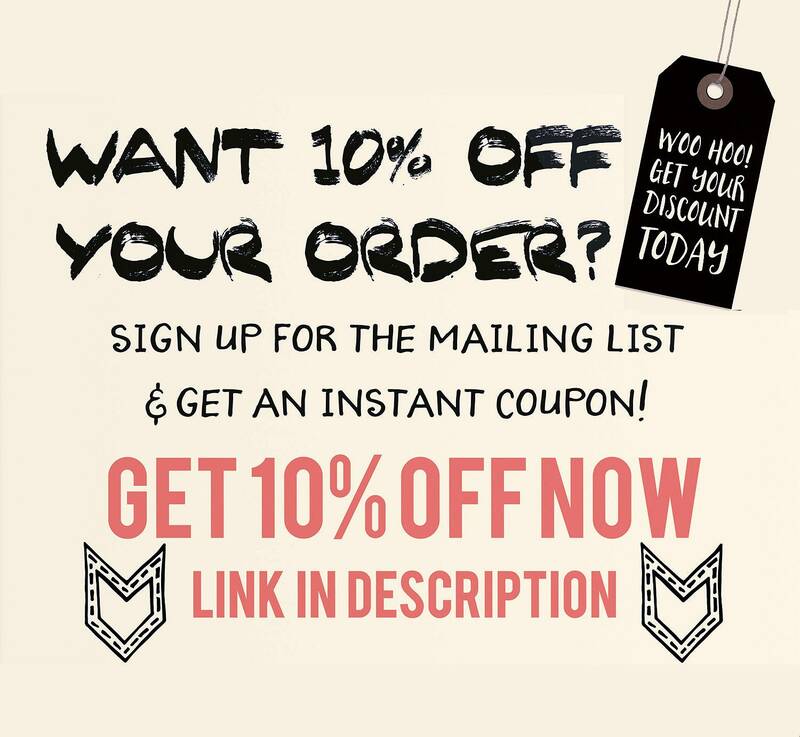 It will help you to stay organized and have on hand all the tasks you need to do this month.